What would life be like without bread? We all love and crave our carbs. Yet, so many people in the United States are finding that this basic staple of life no longer agrees with them. It wasn’t always this way and you have to ask why? What causes the strange symptoms known as “gluten intolerance” that many people get from eating wheat? The signs read like a pharmaceutical warning label: gas, bloating, gastrointestinal distress, diarrhea, constipation, brain fog, chronic fatigue and even autoimmune disease. The primary culprit is not Monsanto genetically modified wheat (GMOs), which is bad enough, but the Roundup herbicide widely used by American farmers growing GMO wheat. About 20 years ago Monsanto started preparing their wheat seeds to be “Roundup Ready.” They told people that without strong pesticide use, we as a nation would not be able to keep up with the growing food demand of our population. Of course, this was false info (aka propaganda). Yet, as a result, agricultural methods changed and all farmers are now required to use preharvest Roundup herbicide with their GMO crops. Roundup saturates the entire wheat plant and residues of this pesticide show up regularly in bread samples. This toxic use of glyphosate in the US wheat crop since 1996 has caused the incidence of celiac disease to skyrocket, according to a 2013 study published in the Journal Interdisciplinary Toxicology which examined glyphosate pathways to autoimmune disease. The Journal Entropy agrees with the findings. Glyphosate significantly disrupts the functioning of beneficial bacteria in the gut and contributes to the permeability of the intestinal wall, resulting in autoimmune symptoms. The normal reaction to any harmful element the body tries to rid itself of is an inflammatory/allergic response. It’s the most likely reason for the rise in common food and environmental allergies as well. Not surprisingly, glyphosate is now commonly found in human urine. 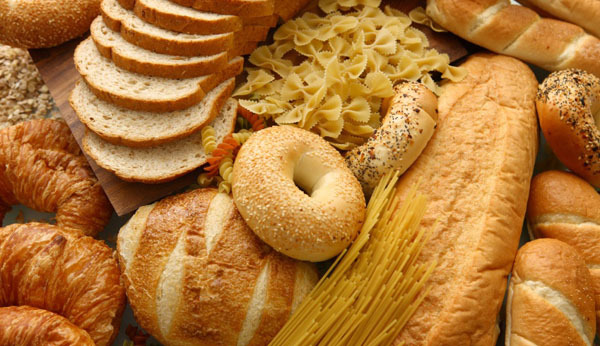 Gluten intolerance is not just genetic in nature, as many people have been led to believe, but clearly environmental. It won’t kill you immediately, but over time it can cause systemic damage. 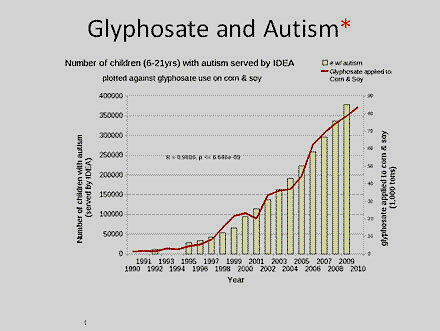 The increase in such diseases as diabetes, Alzheimer’s, allergies, obesity, cancer, depression, heart disease, infertility, Parkinson’s disease, multiple sclerosis, ALS and autism, have more than doubled since Roundup came on the scene in 1996. The conclusion—our food supply is being poisoned. Many friends have told me that when traveling in Europe, and other countries, they can eat all the bread and wheat products they want without suffering gluten intolerance symptoms. 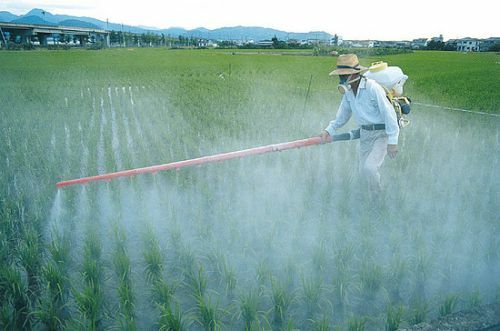 The difference is many countries do not flood their crops with pesticides like we do. To-date, 38 countries worldwide have either officially banned the use of Roundup Ready and/or the cultivation of GM crops. Only 28 countries actually grow GM crops. The slogan “Banned in Europe, Safe in the U.S.” makes the United States look downright shameful. The FDA and our government, who keep approving these toxic methods, should be charged with crimes against humanity for allowing the poisoning of their populace in the interests of corporate greed. Most people in this country think that if they eat only gluten-free products they will be healthier. NOT TRUE. Food manufacturers replace wheat, barley and/or rye with white rice (which breaks down into sugar). Then to make matters worse, they also add more sugar to make their product more palatable. Read the labels. It’s either poison by glyphosate or by sugar. Not much of a choice. It reminds me of all those “healthy” fat-free products on the market. They just remove the fat and replace it with more sugar. It seems to be America’s quick sugar-fix solution. So what can one eat? There’s not much you can do if you usually eat out, except to exclusively patronize organic food restaurants (which only means that no pesticides were used in their foods). But can you always be so sure? If you mostly eat at home, you can use low-gluten unhybridized Einkorn wheat to make your pancakes, breads, pizza dough, and other wheat-requiring products. I’m told it not only tastes better, but the body easily digests it since it’s pure wheat. Do your research and you be the judge. For a fascinating full explanation of how GMO’s and Roundup took over the food supply CLICK here. NEWS UPDATE: March 25, 2015…..Glyphosate, the toxic active ingredient in the Monsanto’s flagship herbicide Roundup, was “classified as probably carcinogenic to humans” according to a new report from the International Agency for Research on Cancer (IARC), the Word Health Organization’s France-based cancer research arm.